School has begun and fall is around the corner...and we are ready to give away another great Gooseberry Patch cookbook! 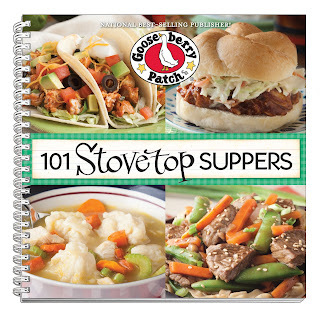 From Maryland Crabcakes to Too-Much-Zucchini Stovetop Dinner to Chocolate-Hazelnut Skillet Bars, 101 Stovetop Suppers has all the recipes you need to make a delicious meal (or dessert!) without ever having to heat up the oven. To top it off, each recipe includes a mouth-watering, full-color photo. This Pasta Trapanese recipe from the "Slowly Simmered" chapter was absolutely amazing. We have been giving "Meatless Mondays" a try, and this fit the bill perfectly. While I did have to stir the sauce every now and then as it was simmering, I felt as though it was a very simple dish to make with a big payoff - the fresh taste was awesome and my family loved it. 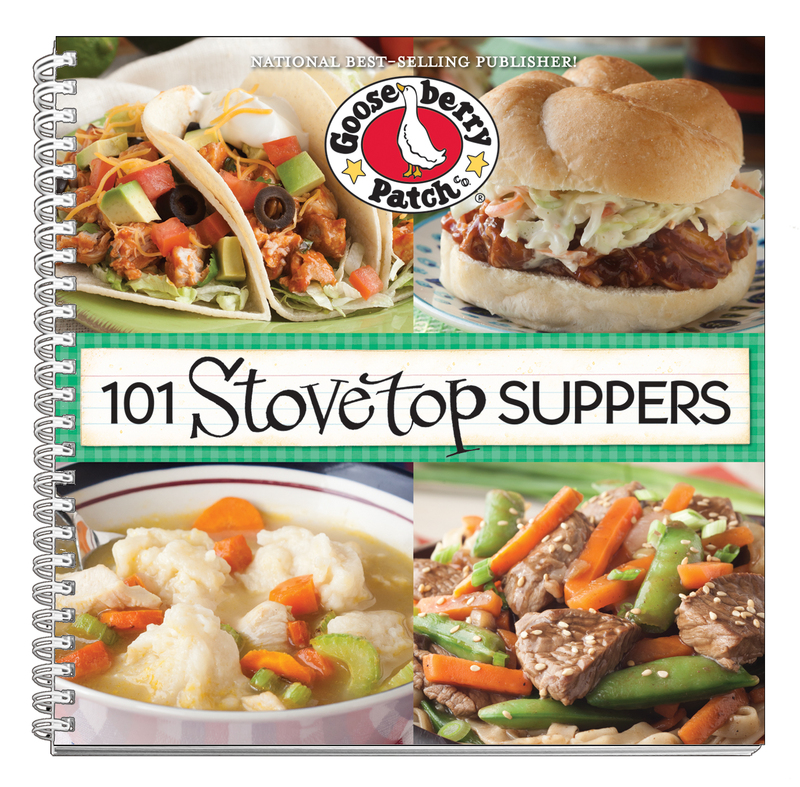 With a large variety of recipes in chapters called "Quick & Easy", "Slowly Simmered", and "Serves a Crowd," I am sure that your family will find a lot to love in this book, as well. We are sorry; This giveaway is over. Add tomatoes with juice, basil, salt and pepper. Reduce heat and simmer, uncovered, for 30 minutes. Stir in almonds. Serve over cooked pasta, garnished with Parmesan cheese.